I am a big fan of fabric flowers. I have made a few in the past here and here, but not quite as big and colorful as these. 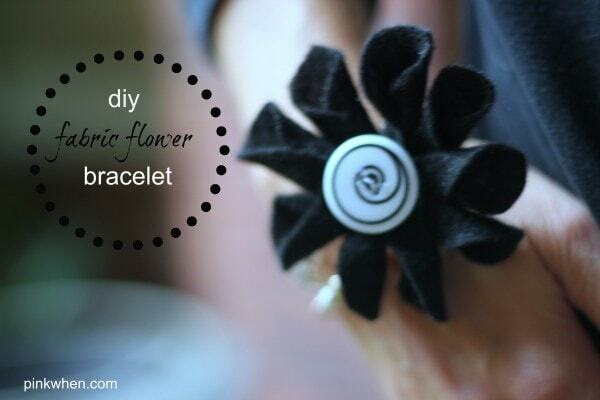 Today I am going to show you a quick and easy felt fabric flower tutorial that you can easily do, and will have you making flowers for hours! 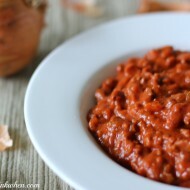 You are probably asking yourself….spoon? Yes, spoon. 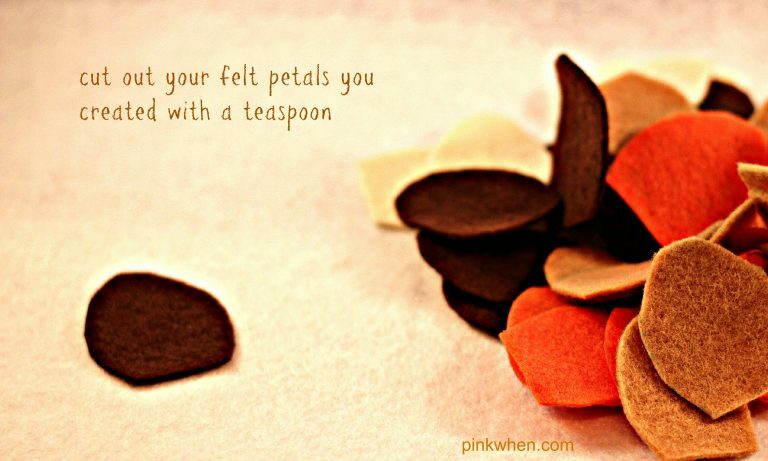 You can search online and everywhere and find different petal patterns, but if you want one for free and also have easy access…grab a spoon! Take a thin tipped sharpie marker or gel pen and trace around the edges of your spoon. With the 8 x 10 felt fabric sheets, I was able to make two rows of 5 petals on half of a sheet. This is enough for one flower base. 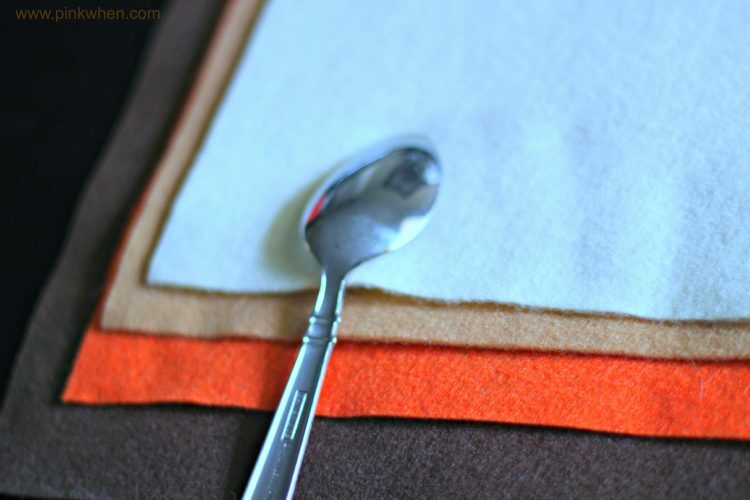 Do the same with your different felt colors, and then cut them all out. 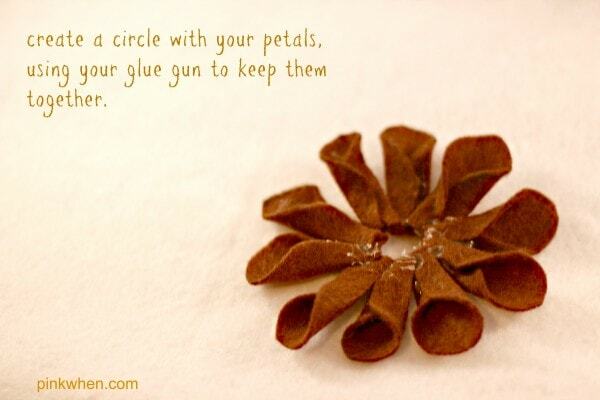 Once you have all of your petals cut out, grab your hot glue gun and start putting these together. 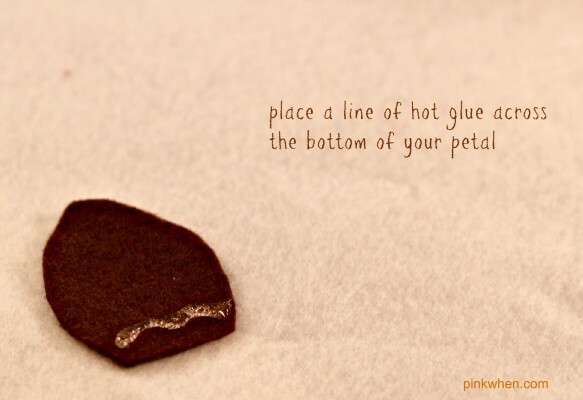 You will place one strip of glue along the base of the petal. 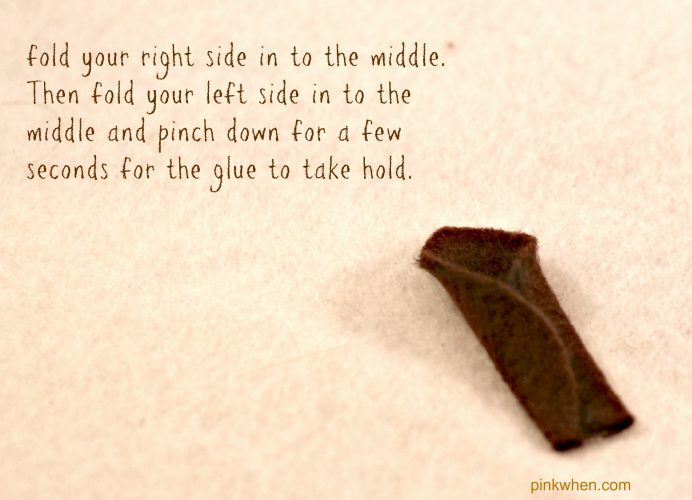 Then take the right side and fold to the middle. Then the left side and fold to the middle. It should look like the picture below. Do this step for all of your petals. Once you have all of your petals made, do ahead and start creating your flower by placing a dab of hot glue on the bottom right of a petal and placing the bottom corner of another petal on top. Do this until you have all of your petals used for your base. Once you have the base created, go ahead and do this again, tightening the circle to make it smaller…then place on top of your base. 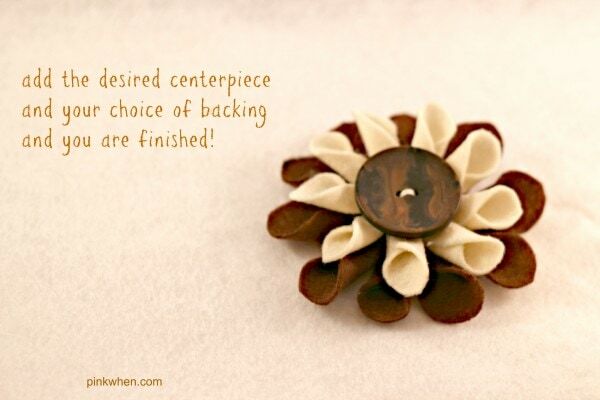 After you have completed your layers, add your button or gems to the flower, and then glue on a clip. I like to use alligator clips because then that makes this flower versatile! 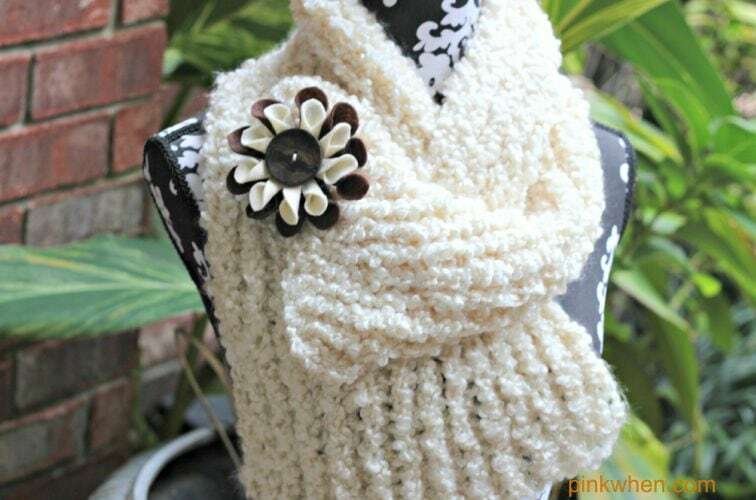 You can use with a scarf. 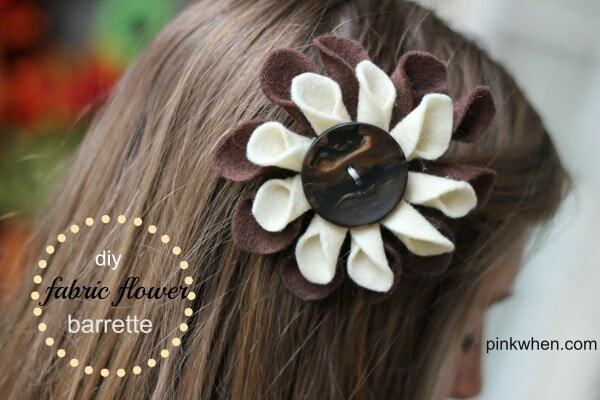 You can use as a barrette by itself. You can use as a bracelet. 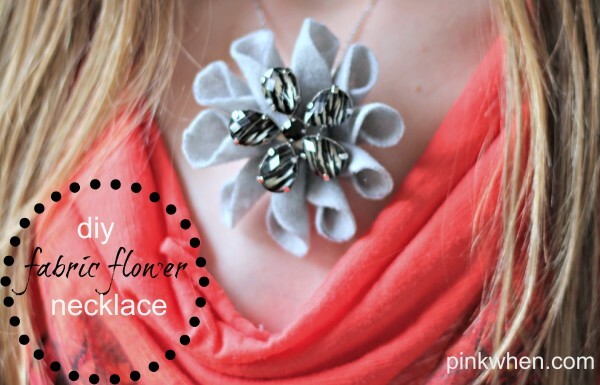 You can even make a necklace. 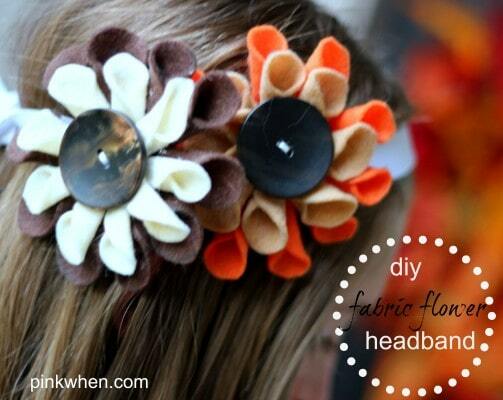 Or my favorite…layer them with a headband for some awesome hair accessories! There are a ton of options! 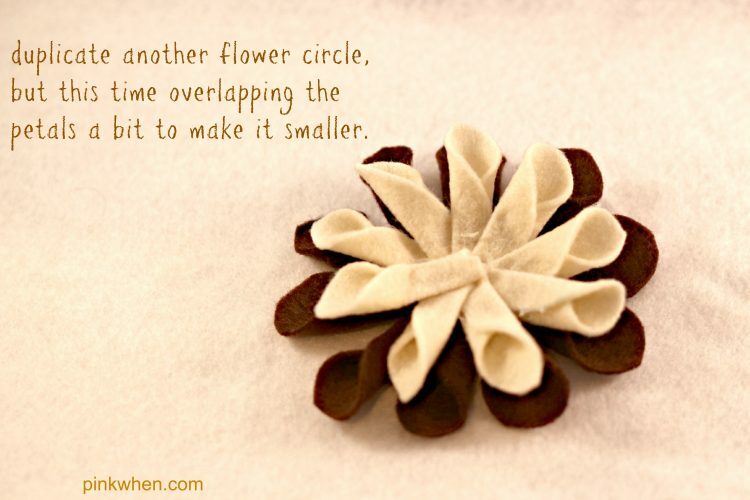 I hope you enjoyed this quick and easy felt fabric flower tutorial. What a cute birthday present, or Christmas gift to make! 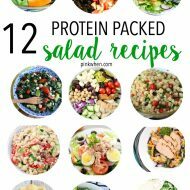 So pretty, I love how easy and versatile it is. Great tutorial. 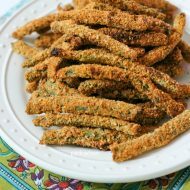 Will be trying this sometime soon. This is so pretty! Love that it’s so easy and versatile. I think the necklace one is actually my favorite. So unique! Oh, that’s my daughters favorite also….she took one look at it and claimed it as her very own! I just love this – especially used as a ring – so pretty! A ring would be awesome! I just found your blog through the forums on thesitsgirls.com and I absolutely love this flower tutorial! Thanks so much for posting it! So pretty and different form your standard felt flowers. Thanks for the tutorial. Hey Jennifer! I absolutely love this! I am going to try this the minute I get the chance! Do you mind if after I try it I post the results on my site with a link back to yours.